What’s the time? There are so many ways to get the time these days. Just choose from any one of the smart devices we tow everyday. Many might say, then, that watches are becoming obsolete. For me, nothing could be further from the truth. I believe that a watch is more than a timepiece. Further, I view a watch as an important finishing touch to any look. So, I never leave home without wearing one. I pass through Macy’s whenever I shop at the St. Louis Galleria Mall. And, I spend a lot of time (pun intended) browsing the watch counters in store. What can I say? I’m a watch lover, and there are so many pretty options. 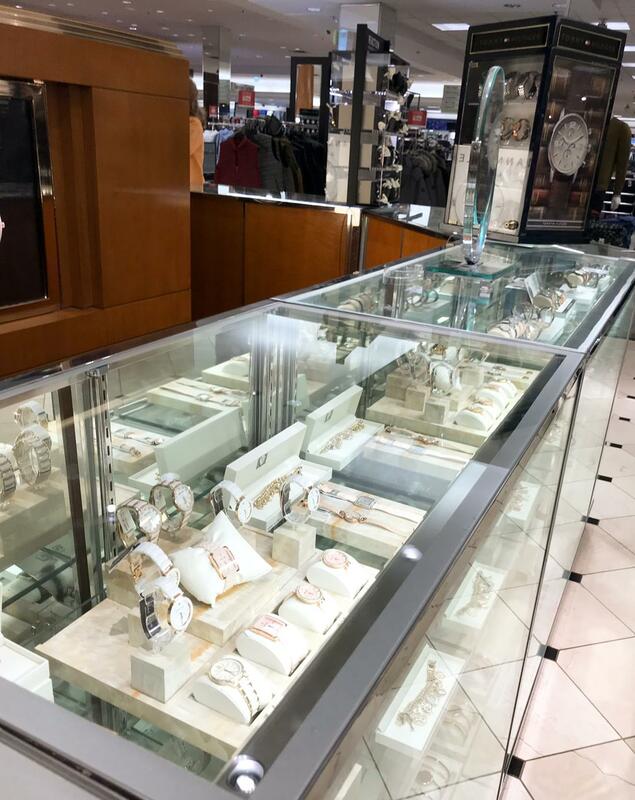 On a recent trip, I was drawn to the Anne Klein watch counter below. The Anne Klein watches I saw were practical timepieces that boasted fashion-forward details. They were available in a variety of sizes, shapes, and colors. Of course, I like to go big with watches, so I especially loved the larger face styles. And, a particular one, a light pink ceramic watch, won me over because of its rectangular case and rose gold accents. I’m heading home for the holidays. And, I already know that I’m gifting two watches to a couple family members because timeless watches are the ultimate accessory and holiday gift. 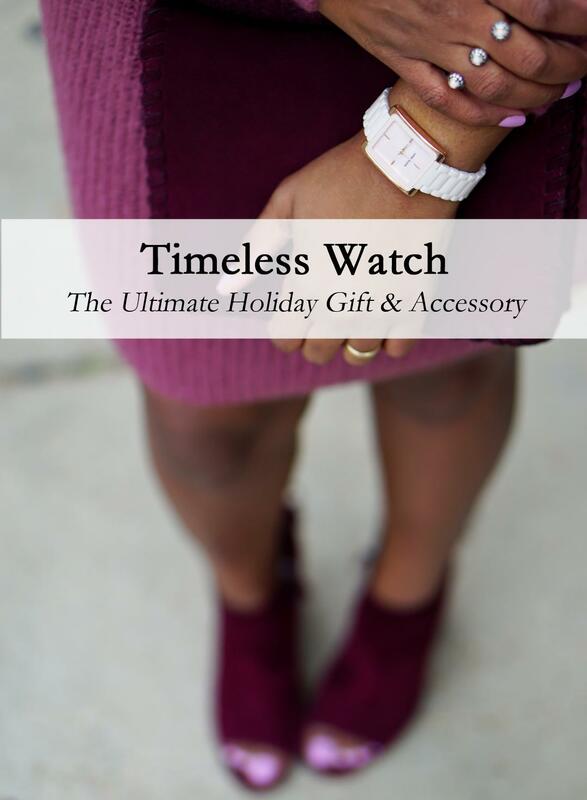 Choosing a watch as a gift this holiday season too? The following considerations will you help you make the right decision. 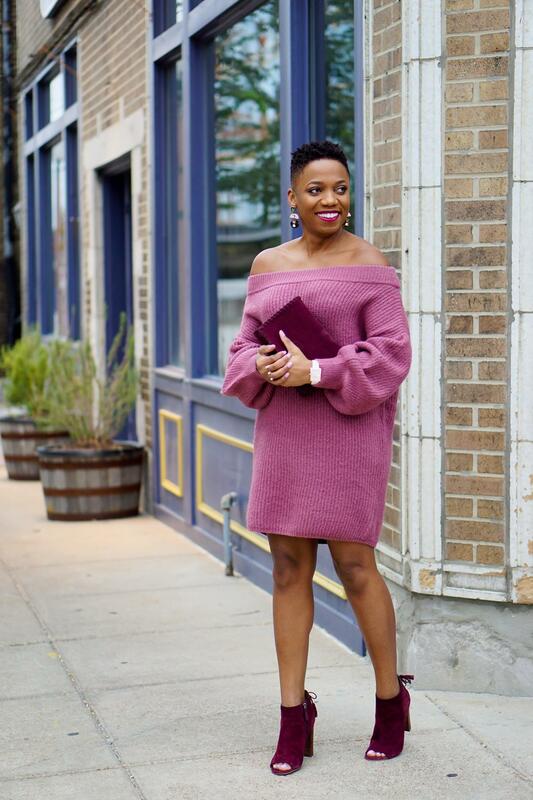 Does the woman you’re gifting have a classic or more edgy style. Someone with a classic style may prefer a watch with a smaller, more conservative case than someone with an edgier style. Do you know the wrist circumference of the gift recipient? I like to receive things that I can immediately start wearing. So, one of the features I love about my Anne Klein watch is that the band is adjustable, no tools required. What kinds of colors does the person receiving the watch usually wear? Choose a watch that complements the recipient’s go-to colors. When I say that watches are the ultimate accessory, I’m so serious about that. 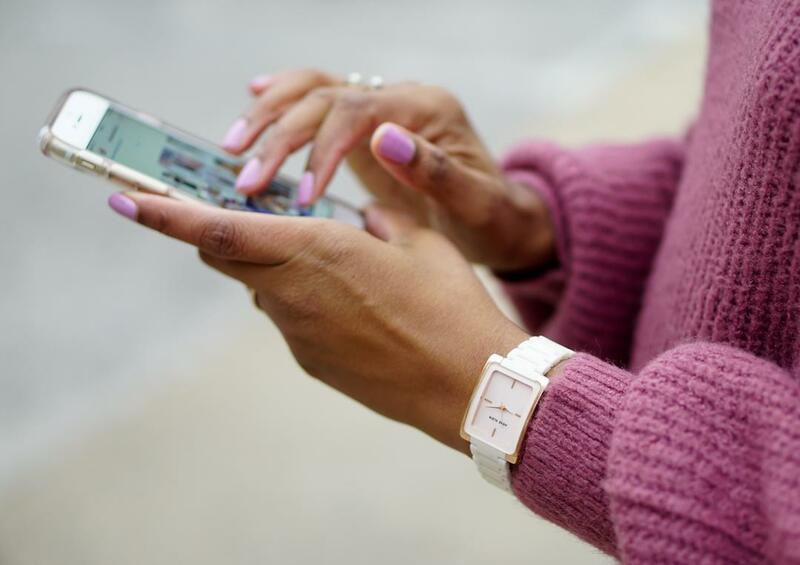 My light pink ceramic Anne Klein watch is the perfect color and style to complement my fall style. 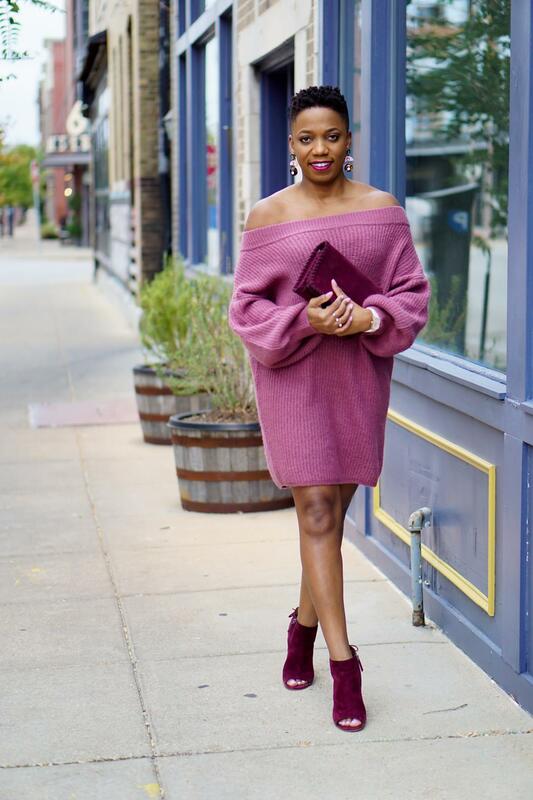 I’m a huge fan of the mauve and blush colors that are popular this fall. And, this watch will beautifully accent my outfits in those colors. See how my watch complements my favorite sweater dress. Like this particular watch too? Hover over the image below to shop it as a holiday gift (for yourself or someone else). 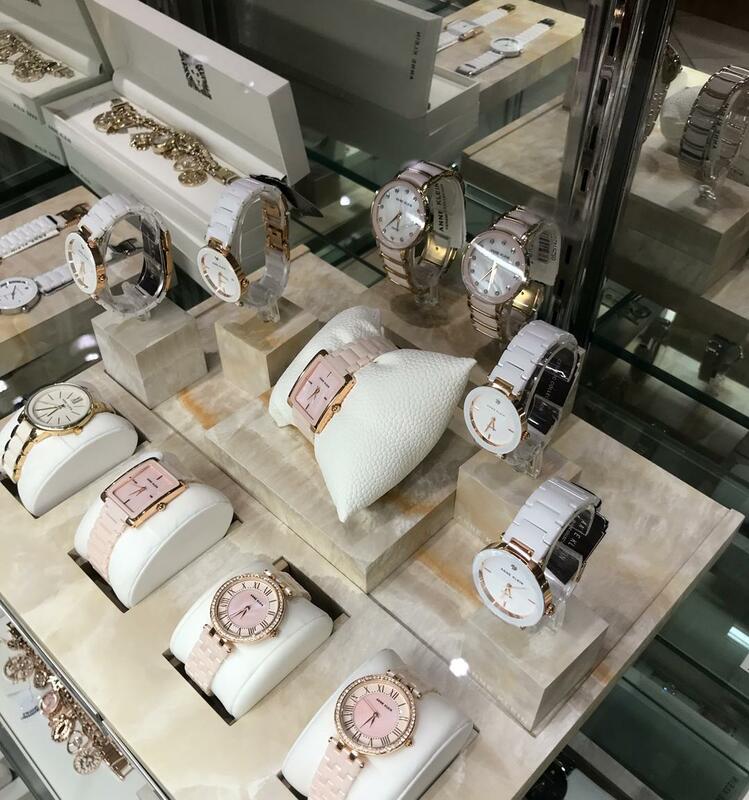 If you have a few style mavens on your holiday shopping list, be sure to check out the fashionable Anne Klein watches at Macy’s.